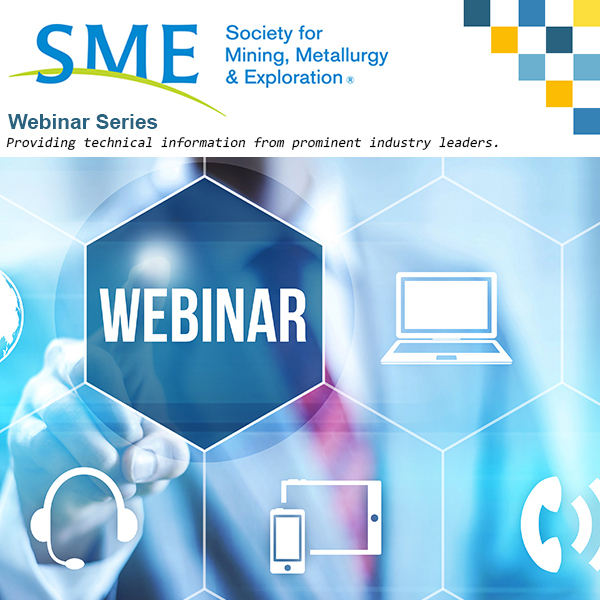 SME Webinar: Rules of Thumb for Geologic Modeling - Society for Mining, Metallurgy & Exploration Inc.
Rules of Thumb for Geologic Modeling is presented by Erik Ronald, Principal Consultant Resource Geology, SRK Consulting. Geological and Resource models constitute the underlying foundation of the mining and mineral exploration business. These models form the basis of Mineral Resource Reporting, mine planning, economic evaluations, business plans, and company strategic planning. A robust and useful model can be the difference between an uneconomic exploration prospect and a profitable mine. Therefore, their construction and overall quality to represent the ore body are critical to success. The creation of geological and resource models is a combination of art, science, engineering, statistics, and well-informed hypotheses. A series of considerations are presented to ensure models are both useful and provide a robust representation of the deposit. These considerations include: 1) clear objectives of model use; 2) understanding local and regional geology; 3) the incorporation of all trusted data sources; 4) fundamental statistical understanding of data; 5) a regional perspective; 6) a sound geologic structural framework; 7) determine significant attributes dependent upon scale of model; 8) modelling of waste units; and 9) all wireframes modeled in three-dimensions. Login: Register online for the webinar, then you will receive an email with the link to view the live session.